To celebrate the release of the new Cinderella.2 Manual by Springer we offer a discount of 33% off the regular price (69 US$/49 €) for the pro license. Just enter the code springeroffer when ordering Cinderella.2. This offer is valid until July 1st, 2012. 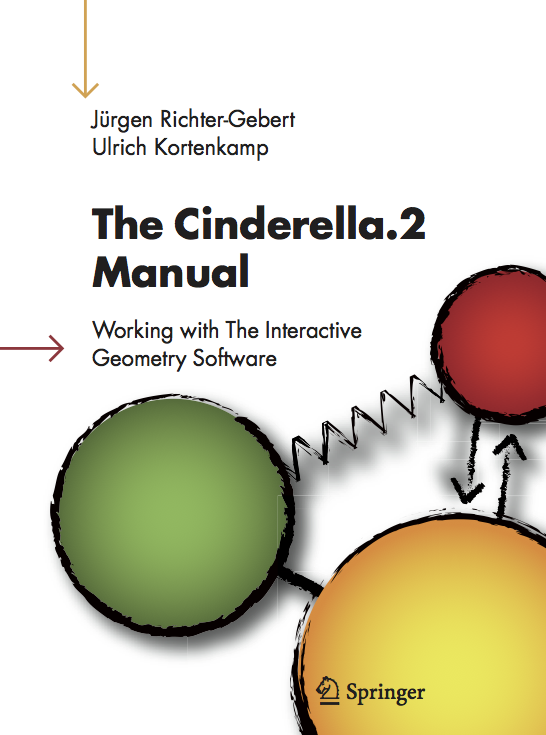 The Cinderella.2 manual is a 458 page full-color hardcover book that introduces you to the whole software package. It contains a wealth of examples, in particular for the CindyScript language which interacts smoothly with the geometry and simulation components, and a complete reference. This book provides comprehensive documentation from start to finish. You can get the Cinderella.2 manual for at your local bookstore (ISBN 978-3540349242), directly from Springer, or online, for example from Amazon.com.